My husband and daughter have attended this every year since it began. It is always such a cute and special night for them. 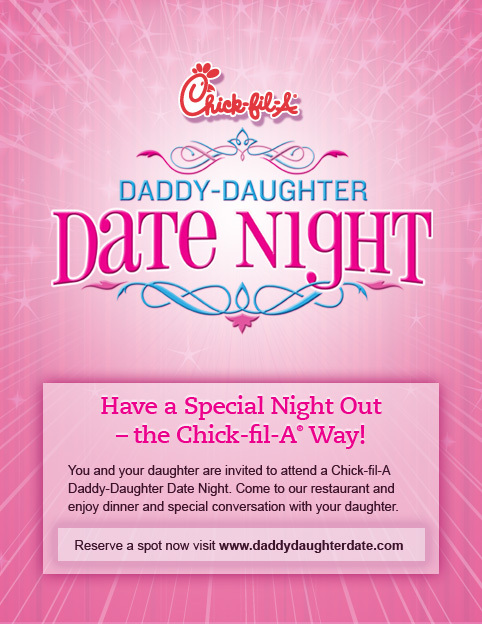 Reservations are a must – go HERE to find your local Chick Fil A and to register to participate. The cost of the event is for food only. Go HERE for details. Unfortunately, It looks as if the Ridley and Springfield locations are full but other local Chick Fil A restaurants do have availability.